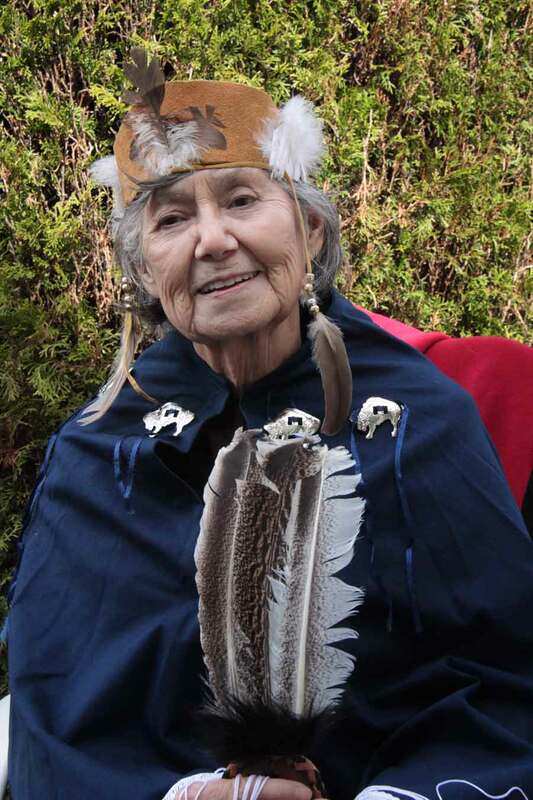 Longtime Newton resident Amy Eustergerling has mentored the Newton Medicine Wheel since it’s inception. 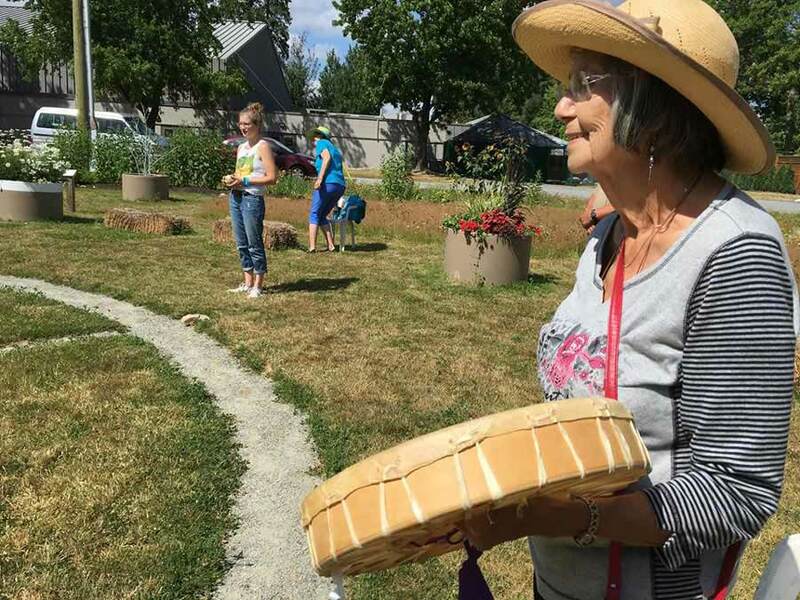 Her Cree name, Manchus S’Kwao, Earthworm Woman, may explain the Medicine Wheel’s deep relationship with the PLOT sharing garden. 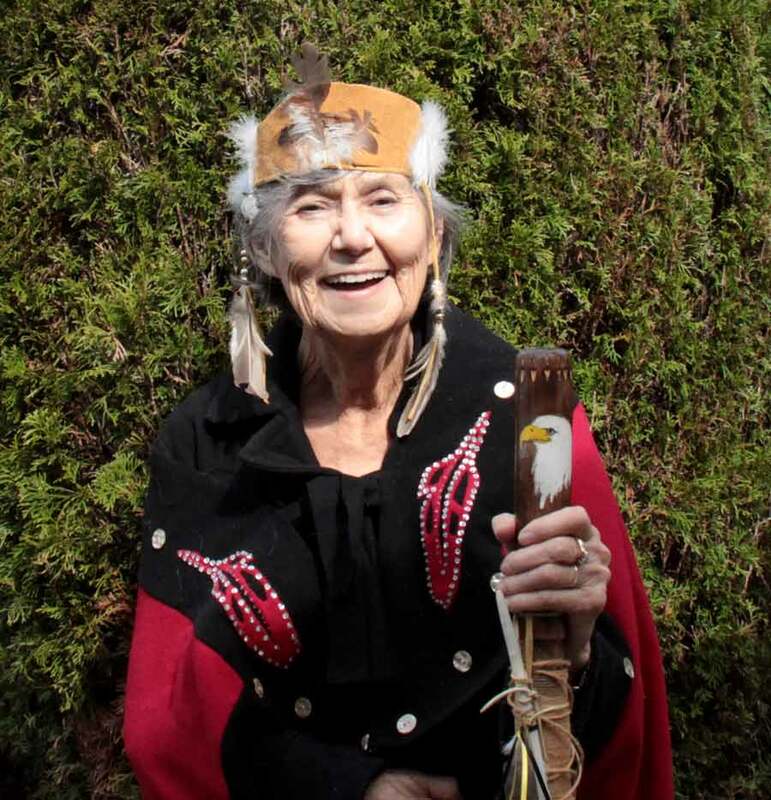 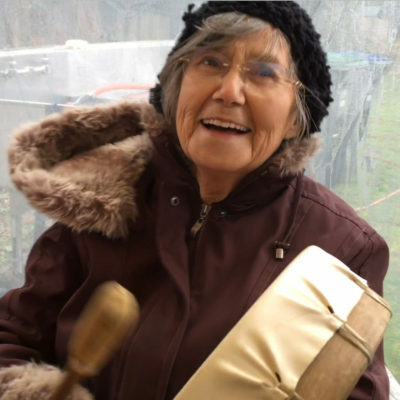 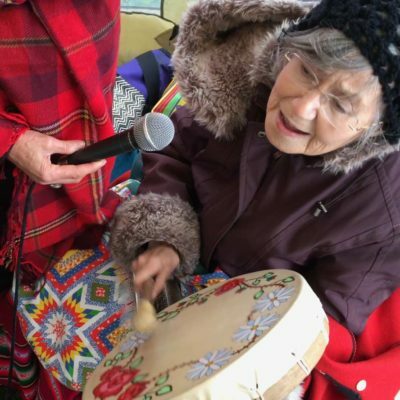 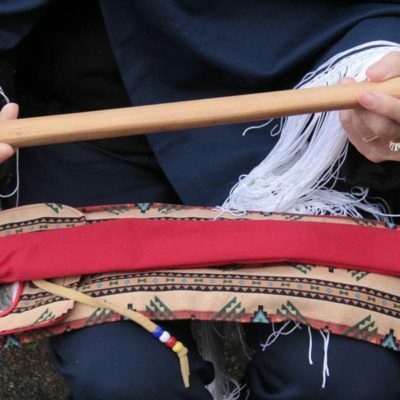 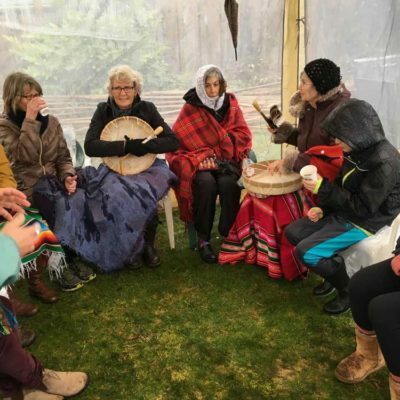 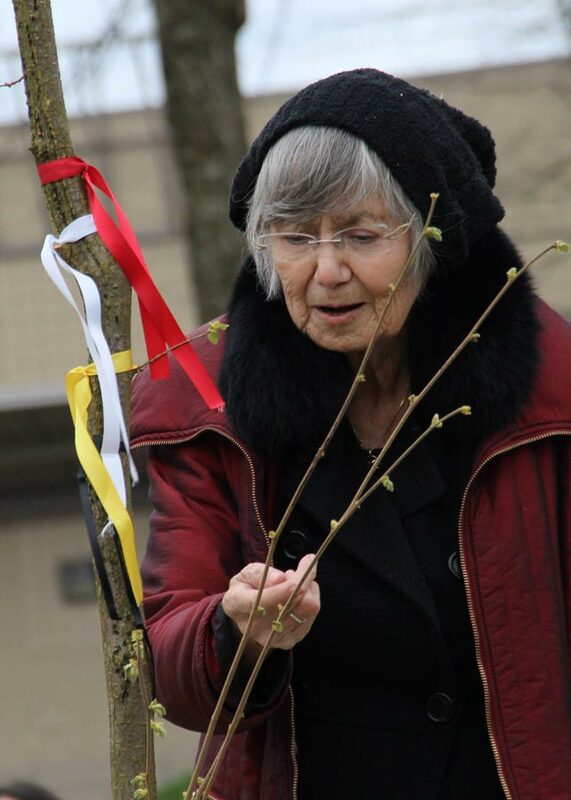 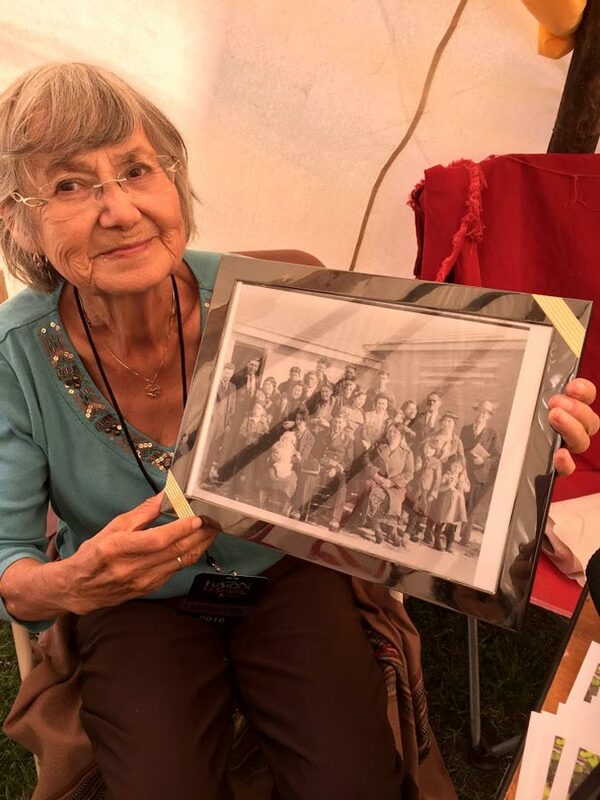 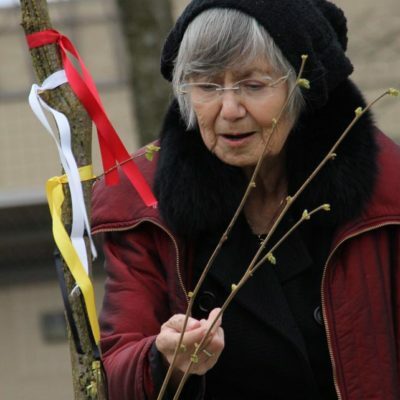 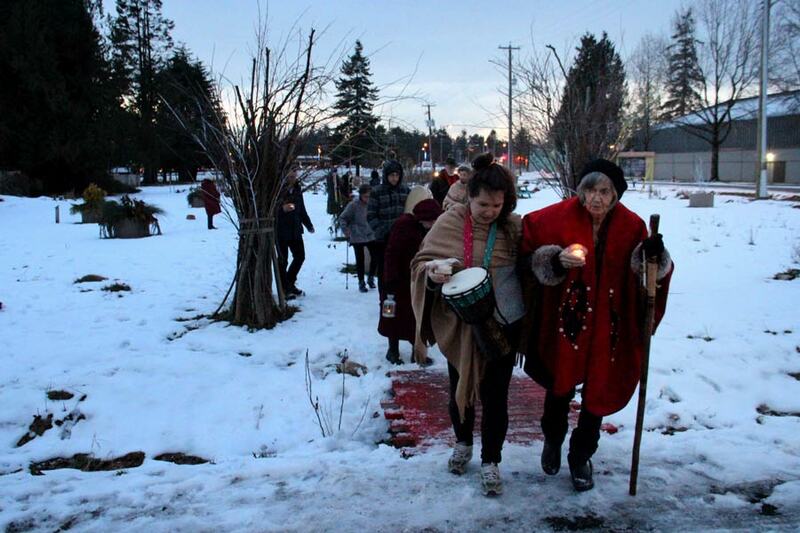 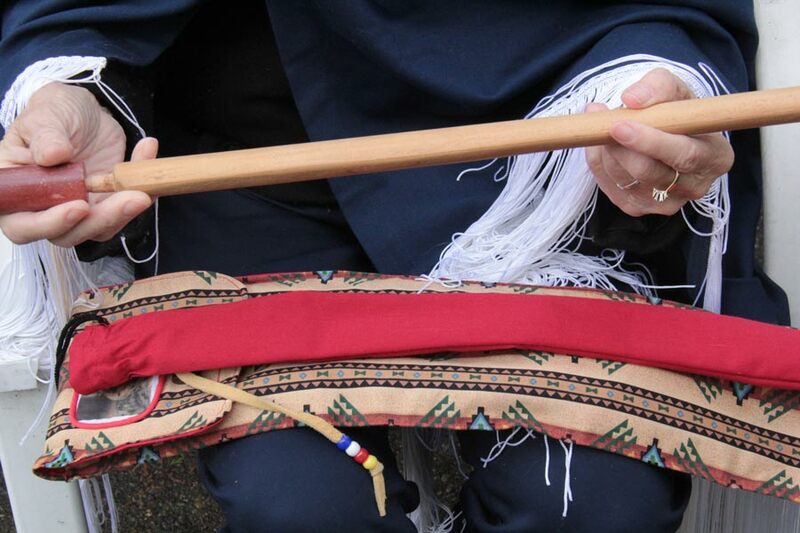 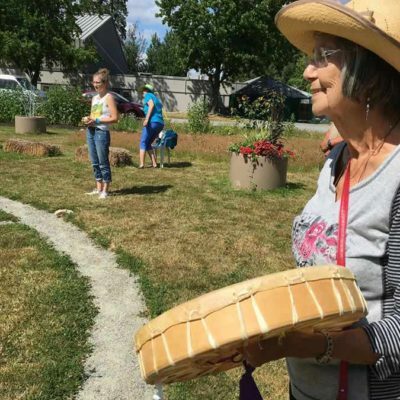 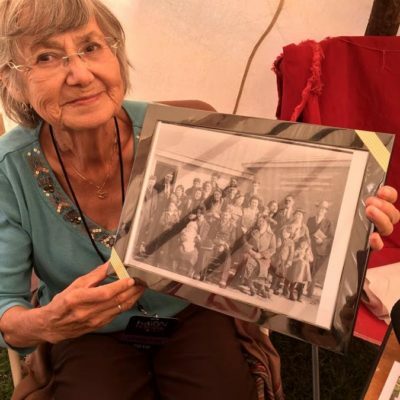 Prior to establishing the Newton Medicine Wheel, Elder Amy spent many years participating in ceremonies led by Cree Elder Phil L’hirondelle at the VanDusen Garden Medicine Wheel. 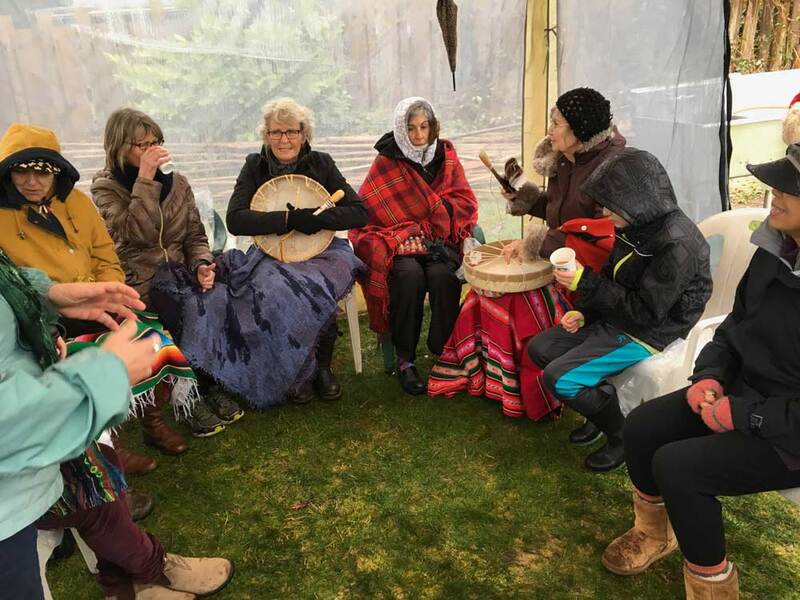 Elder Amy reminds us that we are all rooted in the Earth, and that the principles of circular teachings are universal, with evidence of medicine wheel type formations found the world over. 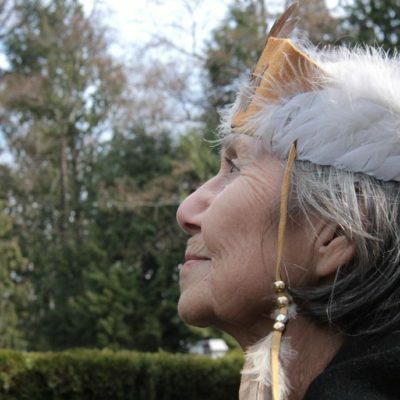 Her stories provide opportunities for understanding the indigenous approach to existence. 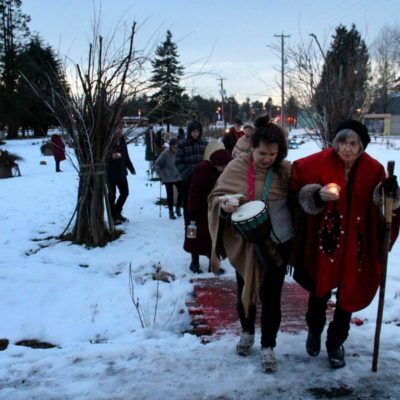 These ways of being embrace cyclical philosophies and traditions that respect the laws of nature. 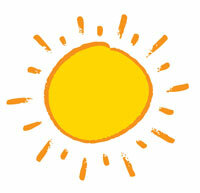 They are embedded with insights that help us to live in harmony with others, ourselves and all creation. 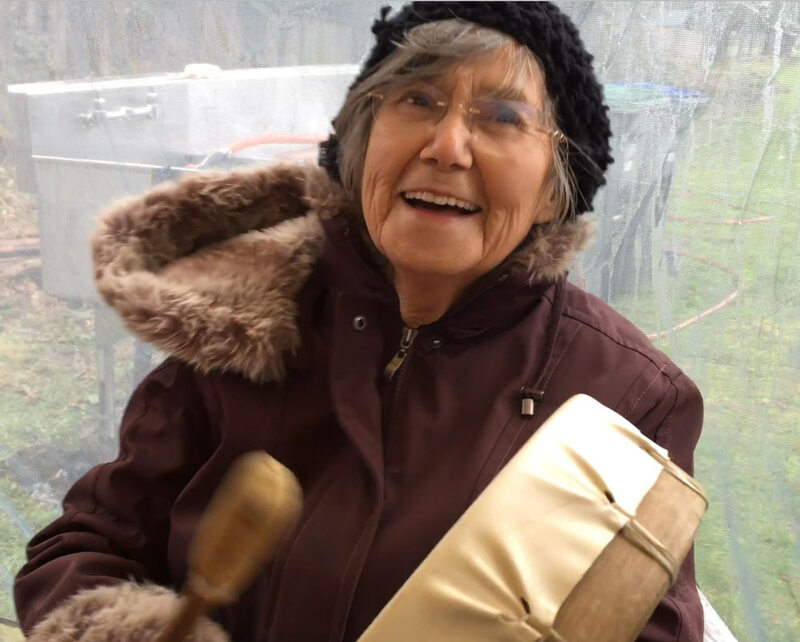 “Grandma Amy is always ready with a drum in her hand, a song in her heart and a willingness to share.” -B.B. “My life has been irrevocably changed for the better under the mentorship of Elder Grandma Amy. 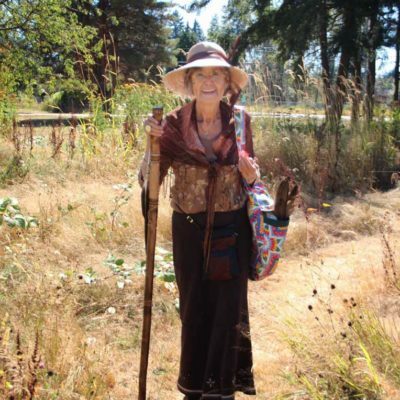 Her instructive stories are so filled with human potential for regaining right relationship with oneself and all life. 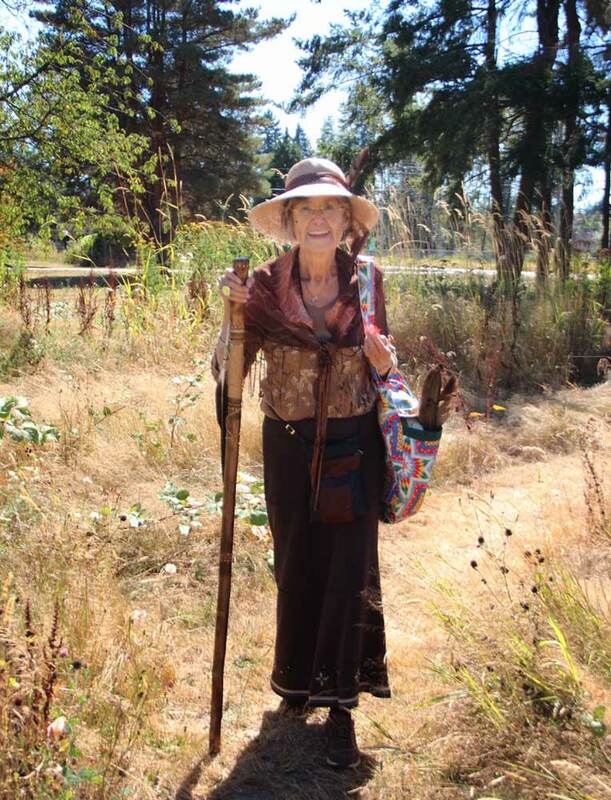 My gratitude is immense.” -P.F. 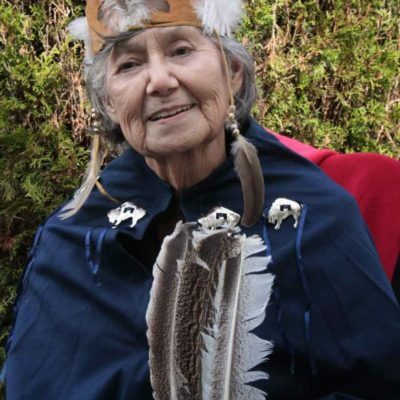 “It has been such a gift working with Grandma Amy on the Medicine Wheel and watching her interact with the community. 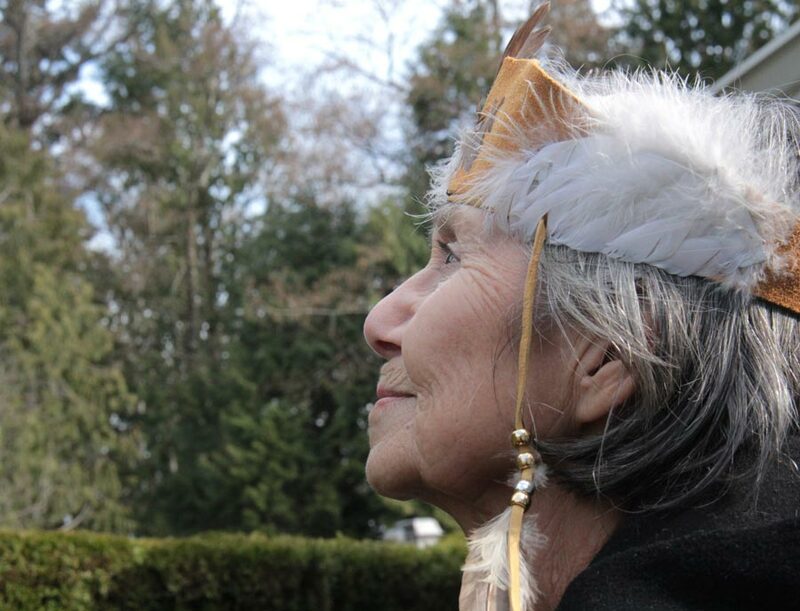 The humble way in which she approaches everything with a quiet depth of understanding is notable. 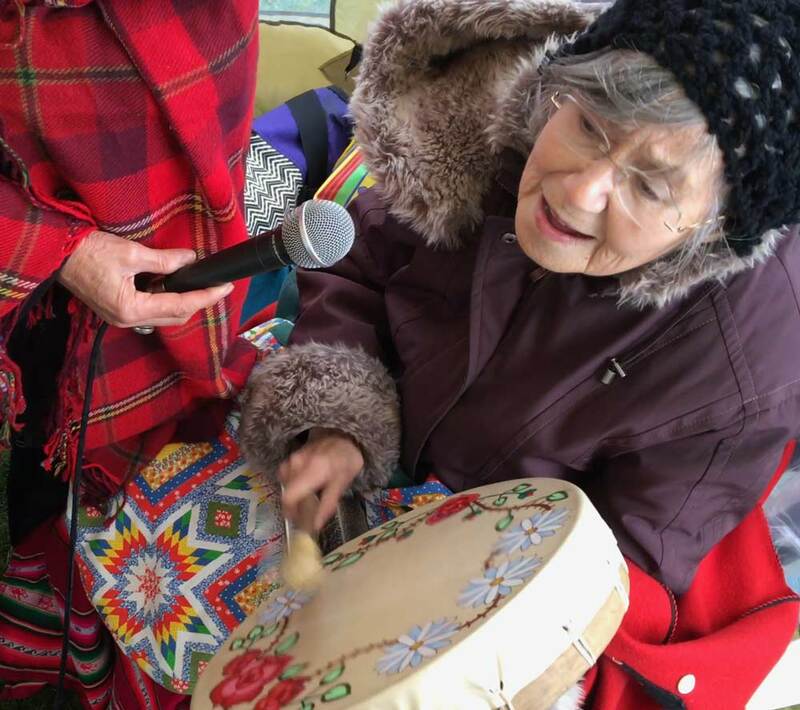 Her penchant to see the best in others and encourage them to develop their talents or promoting their offerings is inspiring.” -R.T.